Together they have started a movement: Rebels at Work – which has the goal of empowering people to create change and find more meaning in work. 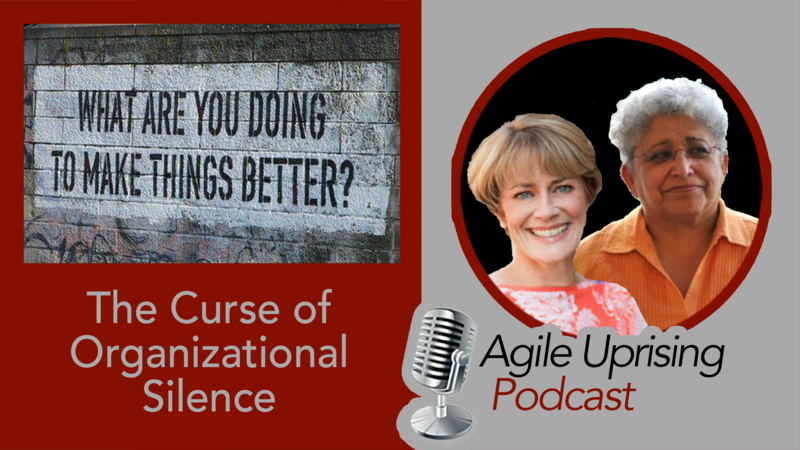 We discuss the curse of organization silence. An observation that people in all kinds of jobs at all kinds of workplaces reach a point where they want to say, ‘Enough.’ They have the same uncomfortable realization: ‘I should do something about this.’ Yet many remain silent and don’t bring ideas forward. Lois and Carmen share a number of ways to find your voice, and speak up to challenge what no longer works and lead change – whatever one’s position.